Here's the recipe from the video, but you should really watch the video to see his technique. 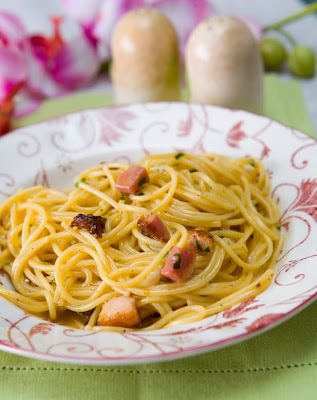 Particularly the frequent use water to "amalgamate"
http://www.italianfoodnet.com - ITALIAN CARBONARA, the real one!! !